Jude's favorite subject has been American history. Before he could read well, he used to love watching a particular animated history video series, and it was wonderful to see him develop a love of learning history. Damien has had a lot of exposure to American history over the past few summers. I have always enjoyed history, and have come to see it from a new perspective since I began homeschooling. 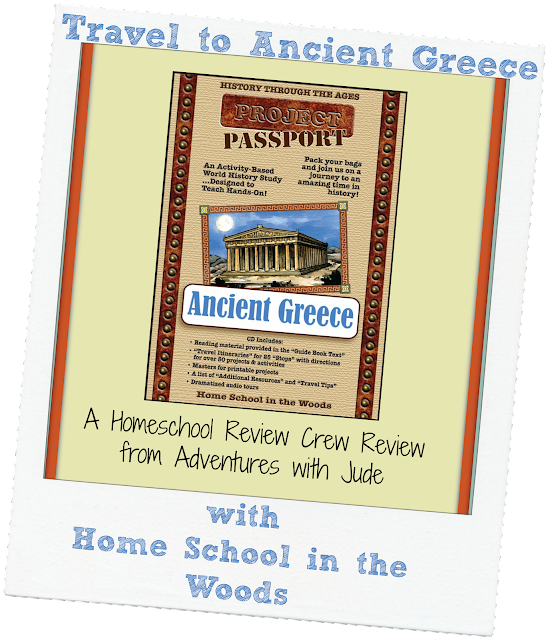 The roots of the American story can be found all the way back in the lives of the ancient Greek and Roman civilizations, and when we were given the opportunity to work with HISTORY Through the Ages Project Passport World History Study: Ancient Greece from Home School in the Woods, I thought it would be a great opportunity to delve into the past and study this ancient civilization. Home School in the Woods combines hands-on activities with narrative text and therefore suits multiple learning styles. The program is both Mac and PC compatible, and available in both CD and digital download formats (we received the digital version). 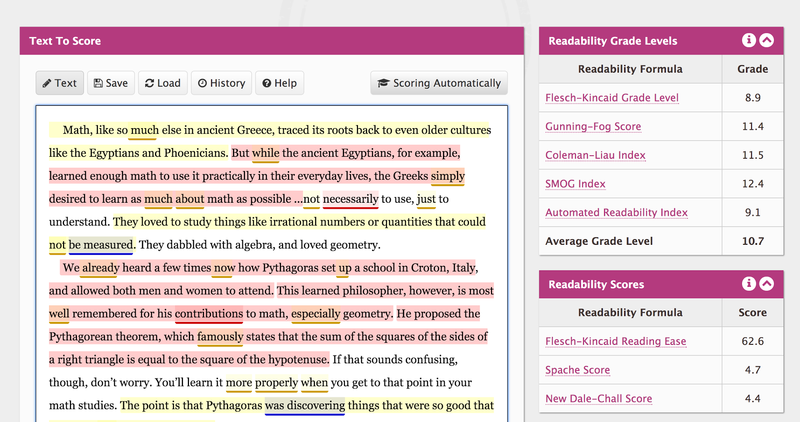 The program's core combines text reading, and notebooking/lapbooking elements, creative writing, dramatized audio recordings, and recipes based on traditional foods to create a unique program. The base program contains 25 lessons, called "stops," that can be completed in as little as one day (I'd recommend this only for older students) or over the course of three to five days (we averaged about 30 minutes, three times a week). It also includes an extensive list of supplemental resources (related books, videos, etc.) that can be added to the program. 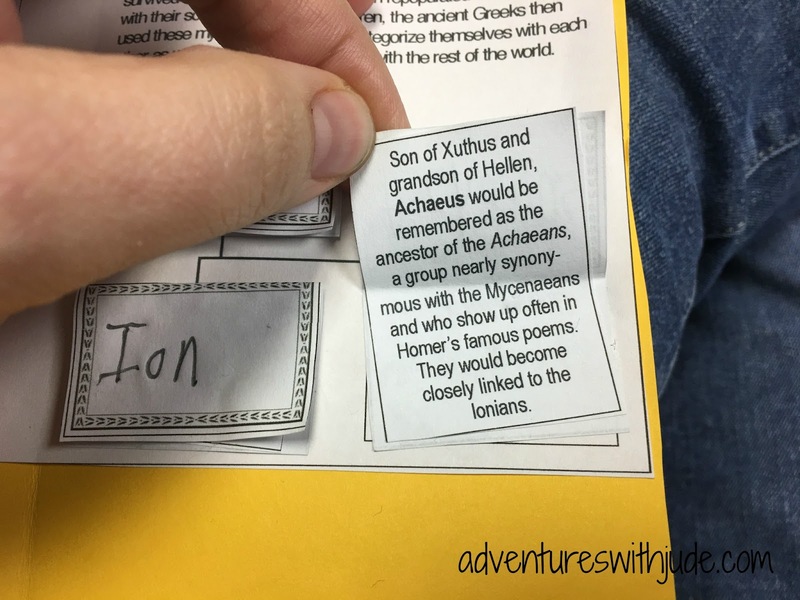 The Ancient Greece program is intended for students in grades 3 through 8, but it could easily be a quarter or semester program for a high schooler (see below). So...now that you know about the program, I'll answer the question of "How did it work for your family?" The short answer: It didn't, because the things that make it sound so great actually made it really, really overwhelming for Jude and Damien. First, the printing. We have used programs from Home School in the Woods in the past, and I admit that we didn't follow printing directions precisely. There is a lot of single page printing, paper switching, etc. involved, and it's tedious. When Luke worked on their Time Travelers series, I handed him the CDs and said "Go to town!" and he did. He tended to print things out all at once, and then just adjust along the way. I decided I was going to follow the printing directions exactly. I'm not opposed to investing time in a program, but after two hours of just printing and sorting, I was going cross-eyed. This is definitely not a grab-and-go curriculum. There is incredible attention to organization and detail (a pro for the program) that consumed more time than was practical for our family. Even I was saying, "Are we done yet?" Second, the text was really hard for the boys. I decided that I didn't mind Damien hanging out/following along with us -- I figured he'd learn what he could absorb, but it wasn't a big deal if he only got half of what he was presented with. I expected it to be too much for him. Jude is reading close to grade level, so I felt being the "low middle" of the grade level, Jude would be challenged but not overpowered. However, as much as he was excited to learn about the Ancient Greeks, he really struggled when it was time to learn. The program is designed for students as young as 3rd grade, but he'd have to be an extremely advanced 3rd grader for this to be successful. Using an online text leveler, I found the text averaged above an 8th-grade reading level -- well beyond his 4th to 5th-grade reading level. Finally, this was a really difficult program for me to wrap my head around. While the files for each section were well organized -- one folder for the binder/lapbook PDFs, one for the text, one with the audio stories, etc. -- it didn't have a whole lot of "flow" to it. There was a Master Itinerary, but each day, I felt like I was always searching for the right page, the right file. While the directions have you print out the entire timeline and pages to fill it in at the beginning, every day was a hunt for "What page? What pocket is it in?" There were a few pages that were half cut apart and inadvertently got swept into the recycle bin with all of the cutaway scraps. Completing that lesson meant stopping, finding the correct page, and then printing yet again. 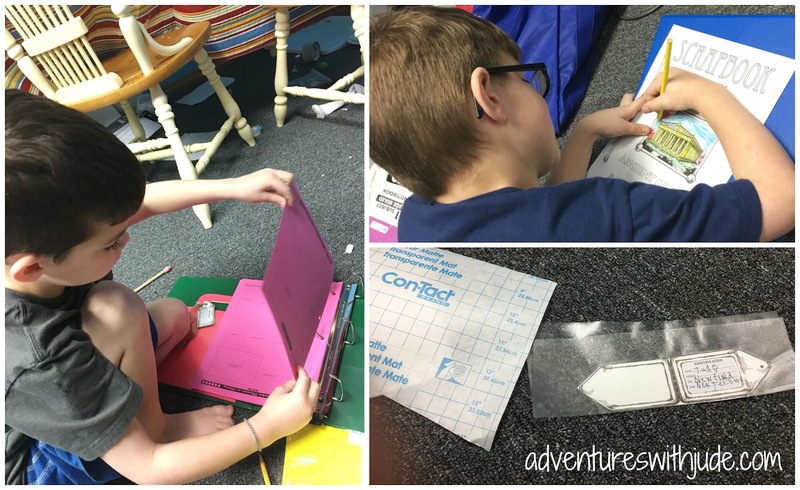 Each day had a notebook activity and a lapbook activity. It seemed like we spent ten minutes learning and forty cutting and gluing. We've enjoyed lapbooking in the past, but they were very simple books - a bit of paper folding, fill it in, and glue it down. We had no choice but to cut/paste pre-printed information - there simply wasn't enough space to copy. I felt like a broken record, repeating, "Slow down, read that first!" Not copying also kept them from making that read-and-written connection. Although it did not work for us, I do feel this there is good quality in the content of this program. It just was "too much program" for our family. This was a lot more intricate and fussy than our past lap books, and the reading content too packed. I've learned that the KISS principle -- Keep It Simple, Silly -- definitely applies when you're working with short attention spans, limited fine motor skills, and trying to juggle multiple students simultaneously. HISTORY Through the Ages Project Passport World History Study: Ancient Greece is a program that I think would be better suited to older students who have more patience.